What is free Directory Submission for off page SEO ? Directory submission is the important part of off page SEO. If you are working in any specific Keyword for the website then directory submission play one of the major role in Ranking and quality Backlinks to increase website visibility on major search engine. 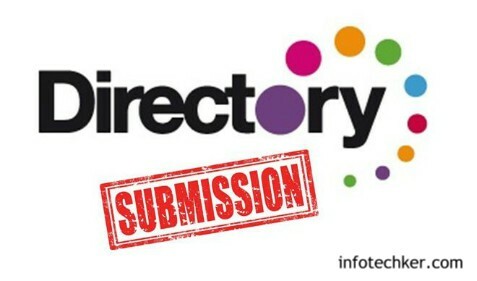 Directory submission is the kind of website which can save/ store Business and other information. Similar to telephone directory just like this are business directory they store Business information with the web URL. That web directory help to find your Business website to user or customer in their directory with the category you can save your business. any user can search specific services they search that directory and click to link and redirect to your website. If you can submit your website to a directory they need to Approval by some month to your link is life but you can pay some think your link is instantly live, but we are not use paid for so we use a free link. Some web directory is approved instantly they call Instant Directory and other authority website directory are your can submit your website until you are approved by the moderator. Search on Google for free directory submission site list and open one by one link.In submitting link in directory you cant log in or any registration process . just simple open site and add. You can open directory website then you can simply click to add site option we show in the image. First select Pricing Option and Select the free or regular link you can select other paid link you need to pay some think for directory site. And reciprocal option you need to add there site code to your website its just like link exchange. Title : Enter tour title in the title option. Description: In that you can add your website or content Description you need to elaborate your content in that Description with your “Keyword” you can add tour Mobile no email address also . META keyword: In that option you can add Your targeting keyword you can add 1 or 2 keyword . Your Name: Enter your name or Business name then you can use business email you can add same name here . Your Email: enter your Email for verify the email for submission. Category: it’s the important to submit link you need to add your business or website in a specific category that related to your business services etc. Select check box and read term and condition and please submit button. Then submit your link you see some massage just like that it takes 2-3 month for approval or some cases show “link submitted Waiting for Approval” so don’t vary your site is submitted to that directory. Some cases some directory are not approval but mostly approve 2-3 month reviews. Conclusion: Directory Submission for off page SEO is one of the important tasks for making the back link in so but that result does not show instantly because SEO is not 1 or day process that takes 2 -3 month for proper Search engine optimization and keyword ranking in a major search engine.